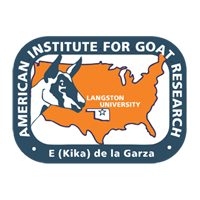 This experiment was designed to investigate whether circulating mimosine imposes limitations on absorption of amino acids and minerals from the gastrointestinal tract of Alpine goats. Circulating mimosine, portal blood and plasma flow rate, and concentrations and net absorption of amino acids and minerals were measured 60 h before (PRE) and 24 h after (POST) the femoral vein infusion of mimosine (12.5 mg kg-1 BW0.75 h-1). Mimosine infusion did not affect portal plasma flow rate. Venous and arterial plasma amino acid and mineral concentrations were depressed and the absorption of alanine (P < 0.09), serine (P < 0.04), and methionine (P < 0.03) from the gastrointestinal tract were reduced for up to 24 h after the cessation of mimosine infusion, even when normal feeding was resumed. This disruption was possibly caused by the circulating mimosine (4.88 µm L-1 during POST) directly, via chelation or competition for absorption, or, indirectly, by gastrointestinal lesions resulting from circulating mimosine. Pivotal to this experiment was the observation that mimosine was eliminated from the goat circulatory system approximately 40 times more rapidly in a 24 h period than when similar concentrations were infused in sheep.